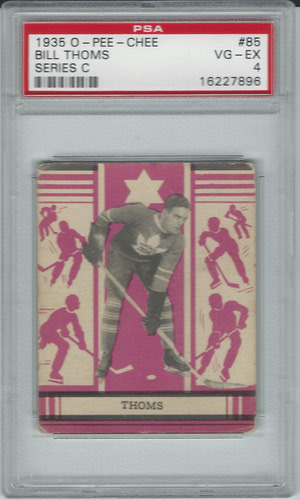 Nice VG graded PSA 3 card of Montreal Canadiens forward, Paul Haynes. 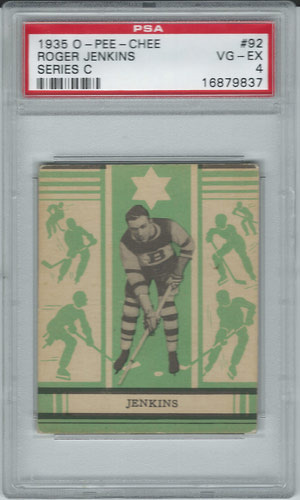 Only 31 cards ever graded by PSA. 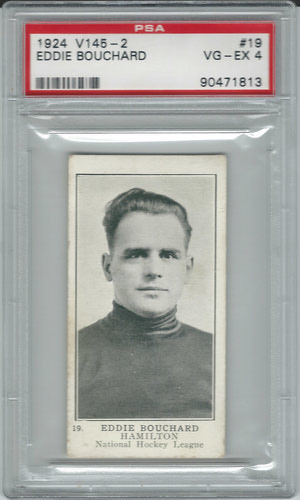 The only card ever issued for Roger Jenkins is this 1935 OPC card. 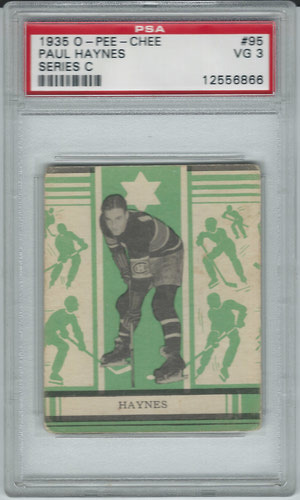 Pictured as a Boston Bruin, it is one of only 27 cards ever graded by PSA. 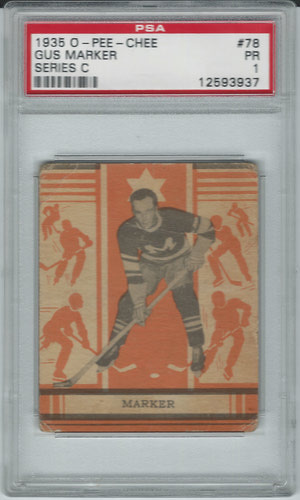 A stalwart defence man, he played 325 Games in the NHL from 1930 to 1939 with 6 teams. 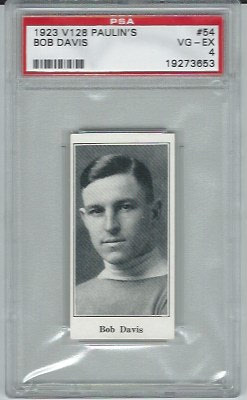 Glorious color and corners highlight this PSA 4 Graded Rookie Card of "Pep" Kelly. 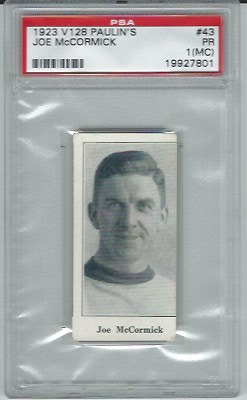 A member of the NHL Toronto Maple Leafs from 1934-1940. 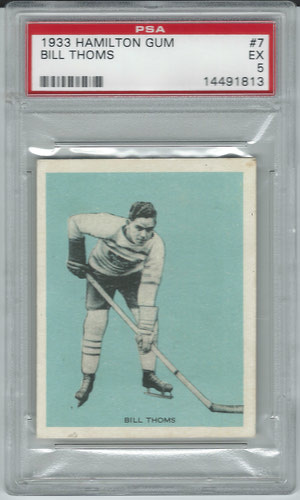 These 1935 OPC cards are much more rare than their 1930's contemporaries. 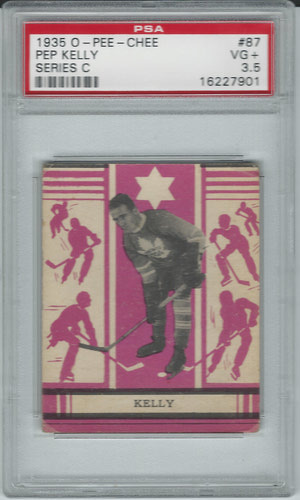 With only 25 examples of this card ever having been graded by PSA, this Maple Leaf Rookie is sure to become a cherished element of any pre war hockey collection. 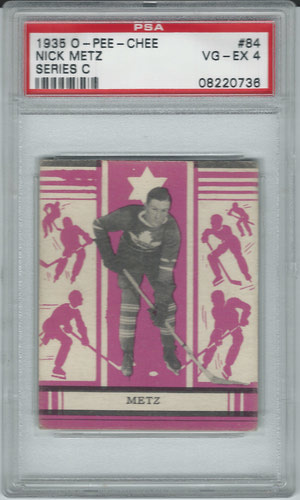 Pictured while as a member of the 1935 Stanley Cup Champion Montreal Maroons, this card exhibits well for the grade. Light creasing throughout brings the grade to a PSA 1. Only 28 cards have ever been graded by PSA. Only 42 cards have ever been graded by PSA. 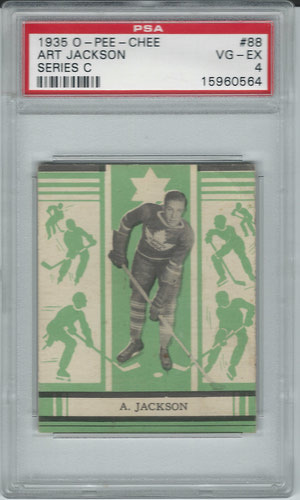 These Hamilton Gums are one of the tougher sets to find from the 1933 Gum issues. There were only 10 cards graded with this level of PSA 4 VGEX. Beautiful color and sharp corners highlight this PSA 5 Excellent Grade. 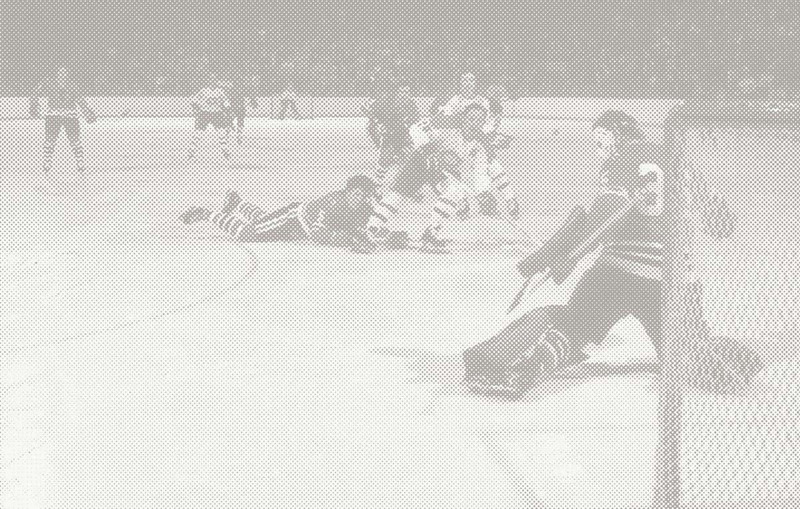 Thoms finished the NHL 1935-36 season tied for first in goal scoring with Charlie Conacher with 23 goals. 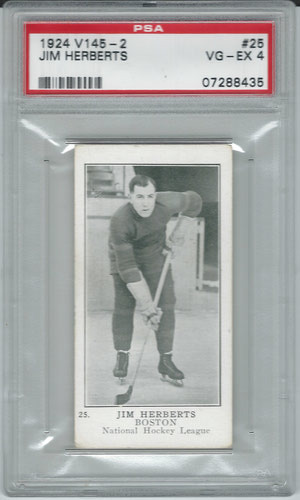 A member of the Toronto Maple Leafs from 1932-39. 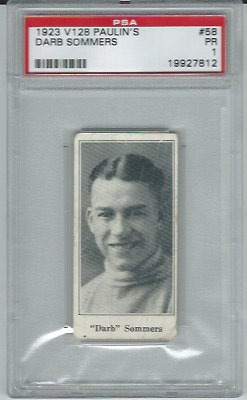 Very low population with only 10 cards ever having been graded by PSA. 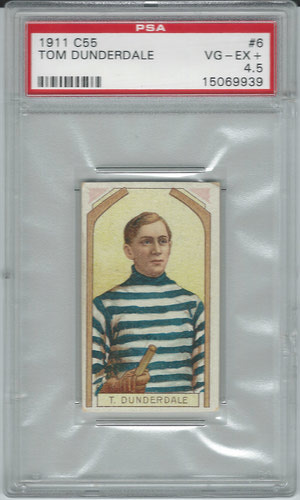 The Highest grade ever assigned was a PSA 5.5 Very nice condition card from this difficult to uncover issue. 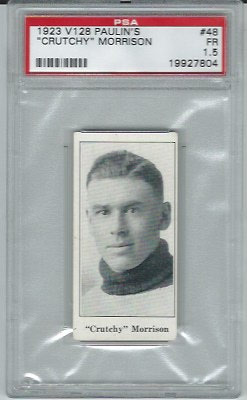 Leading Scorer for the Boston Bruins in their inaugural season of 1924-25, Herbert (mis-spelled Herberts on card) was one of the few bright spots for the Bruins in their first three seasons leading them in points. Very low population. Only 9 cards graded. 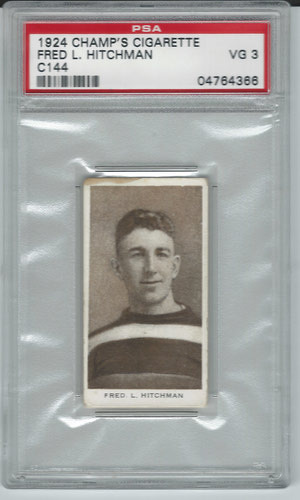 Lionel Hitchman was one of the first players to have his number (3) retired by the Boston Bruins. 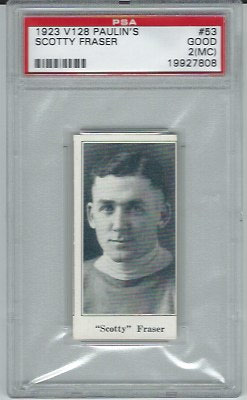 He was member of the team from 1925-34 winning one Stanley Cup Championship. 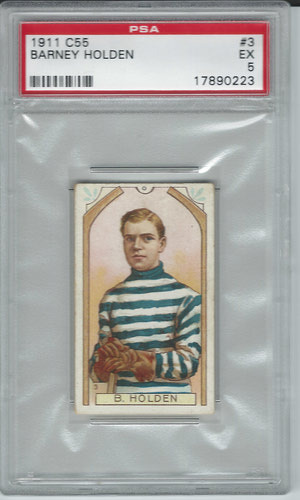 He was sold by the Ottawa Senators to the Bruins following the 1924-25 season. 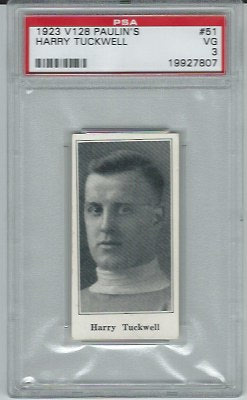 One of the original Montreal Canadiens of 1909-10 and a member of their first Stanley Cup team of 1915-16 this card is a very strong PSA 5. Perfect centering, registration and color highlight this vintage beauty. 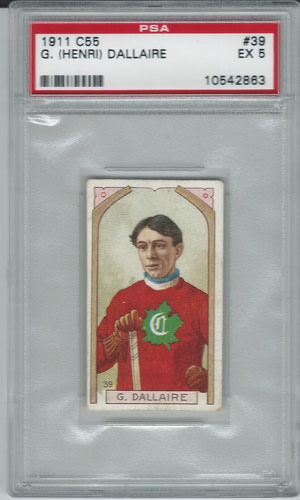 Very nice PSA 5 Excellent card with terrific color and registration highlight this Rookie Card of H. Dallaire, a member of the earlier Montreal Canadiens, Dallaire succumbed to tuberculos at the age of 36 in 1925. NHL All Star Skene Ronan is pictured with the Renfrew Creamery Kings of 1910-11. 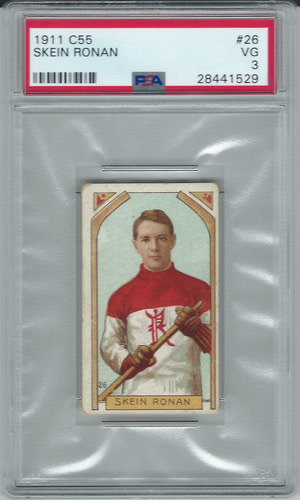 He then played for the Ottawa Senators from 1911-14 and led them in 1911-12 with 35 goals. 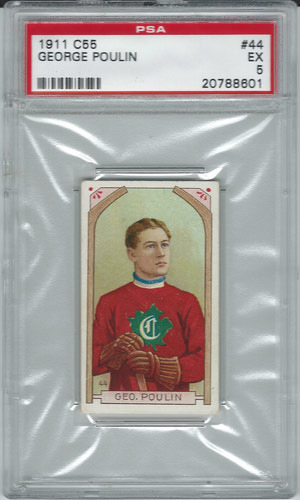 He was member of the 1915-16 Montreal Canadiens Stanley Cup Team. Very nice condition for this Hall of Famer. All the attributes of an Excellent grade. No creases, clean back, sharp corners and crisp registration. 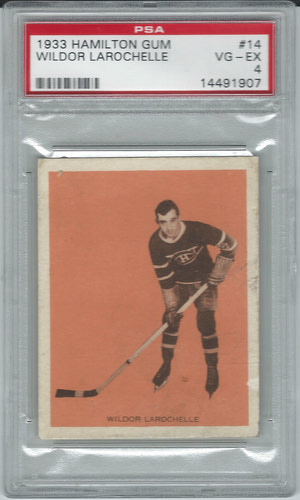 Solid crease free card from this very desirable set. 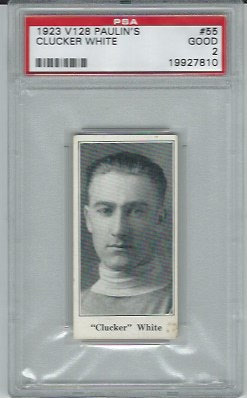 Of the 113 cards graded there are only 19 cards graded higher than this one. Very low population. Played with NHL Detroit Red Wings in 1932-33. Played on 1916 Winnipeg 61st Battalion Allan Cup Champions and 1925-26 New York Americans.